Home / Archive by category "Social Media"
First impression always counts. In case of online businesses, it matters more than anything else, because there is an absence of face to face interaction. Hence the first impression in the form of a great website can go a long way in getting traction online and help engage with the targeted audience. Every time when a new visitor visits your website’s homepage, your business needs to create an indelible impression on the visitor’s mind. Today’s online user will do a detailed analysis and establish an opinion of your brand, and determine if you are worth getting to know further, and doing business with. Why a riveting home page matters? The homepage of the website is the front door to all the catchy details that build up the rest of your website. It becomes a blueprint for every successful business and converts visitors into customers. So don’t you think should it be as remarkable as possible? In this blog, we will share 13 key elements every homepage should have to create the right first impression. Before heading towards important elements, let’s first understand the primal purpose of your website. There is no doubt that different kinds of websites have a different purpose depending on the intended audience is. Some websites are informative while some are entertainment websites. But at the end, the main intention of any website is to convert visitors into consumers, build trust, educate visitors about their business, build a long-lasting relationship with existing clients, and to do branding of their business. Your website layout and content must be optimized for search. It will help visitors to find you online easily. Your website is the most important element for building trust. When any visitor arrives at your website, your website should work the way your visitor expect it to work. Your website should teach people how to be acquainted with what their issues and challenges actually are. Your website’s one of the main intentions should be to inform visitors how you can solve their problems. People require visiting your website often times before making a purchase. So try to capture the email address of your visitors and create valuable content that is significant to their stage in the consumer journey. It will help you to nurture them through to the sale. It is the main objective of your website. A conversion can come from many things like when a visitor subscribe to a newsletter, make a call to you, to do a product or service purchase from your website. You should keep in mind this objective during the designing and development of your website’s homepage to assist guide the journey. To achieve all these targets your website must be as attractive as it is possible. What are the primal things/elements your Homepage needs? As per the studies, it takes only 0.05 seconds for users to build an opinion about your business and website. So you just have only 50 milliseconds to make a good impression and keep them engaged on your website. So use the following key elements wisely to create an attractive layout for your website. Let’s look at all these elements one by one. Your website should convey what your business is offering to customers within 3 seconds. Keep your headline and sub-headline simple, catchy, and clear. Always keep in mind you will never get a second chance to make a first impression. So keep a good and interesting headline. It can grab the visitor’s attention and can drag them throughout into your site. For instance, ‘Google Drive’ headline is very simple but powerful. “A safe place for all your files”. If you want to optimize your headlines and text for mobile and want to give a better experience then make use of larger fonts at least 22px. Podio’s sub-headline is another great example. 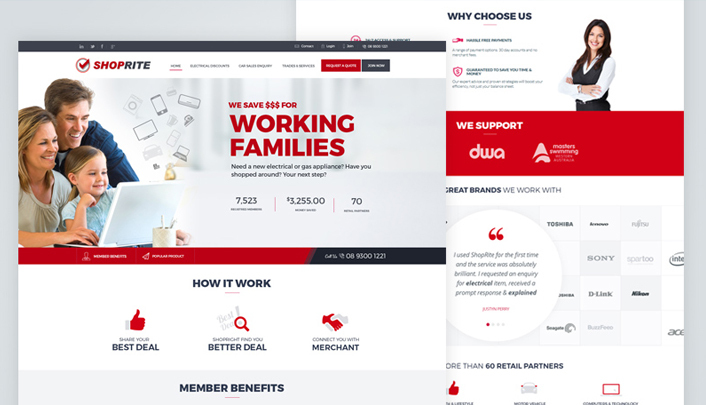 Its sub-headline is also attention-grabbing and engaging: “Try the customizable work management solution leaders trust and employees love working on”. You should include something on your website that demonstrates that you understand your visitors and the challenges they face. It is, in reality, a trust factor. You need to make them a promise that will solve their problems. By including promise text and sub-promise text you can establish trust and credibility. For example, you can go through Neil Patel’s website. Where he has included 2 simple lines which establish credibility and trust: “Learn why your competitors rank so high and how you can outrank them”. “Type in your competitor’s domain below and I’ll show you how to beat them”. When a visitor arrives on your website’s homepage, make it clear what action you want them to take next. There must be a top-of-the-funnel (primary) and bottom-of-the-funnel (secondary) action on your website’s homepage. If you include your call to action located at the top part of your homepage that is visible without scrolling then it will definitely increase your conversion rate. Your primary call-to-action will be like you want your visitors to do a subscription to your blog or connect with you for purchasing a product, service or for a consultation. Don’t include more than 2 calls-to-action on your website because it will confuse your visitor and mess your customer’s journey. There is no doubt in that HD and original images build credibility for your company or engage your audience. But if they take a longer time to load then your visitors will leave your website. According to research, 39% of people will leave your website if images take a long time to load or won’t load. That’s why always use lightweight images in your website as it will not take a long time to load so engagement rate will increase. Keep a balance between offering attractive images and faster loading time. You can make use of tools like PageSpeed Insights and TinyPNG for image optimization. Social Proof is an influential pointer of trust and reliability. You are offering the best product or service in the world but people will not believe you until they hear it from other people, too. You can include some references, case studies, testimonials for your visitors to glance over. If you have reviews or accolades then capitalize on them, make them easy to find, and place them on your website’s homepage. 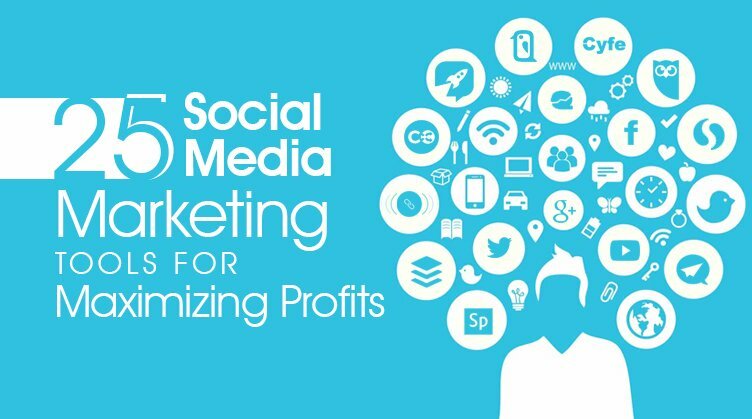 These social proofs can build credibility for your business and drive more conversions. As per research, 79% of customers trust online reviews and testimonials so if you have positive reviews then include it. Let your would-be consumers know that you’re not just boasting about accomplishments. You can most definitely go for the industry best social media. To reduce the bounce rate give your visitors a clear path into your website from the home page. If the layout and content of your website home page is well-structured and navigation is smooth then it can definitely create influence on a website conversion rate. Make the navigation menu noticeable at the top of the webpage and systematize links in a hierarchical structure. Conduct user tests to ensure your website navigation is simple and intuitive and visitors can easily find what they are looking for. Visual branding gives your brand an exclusive identity in a crowded market that’s why it is a vital part of your story. Visual branding can become a huge trust factor for website visitors. Your visual personality is an accurate reflection of your company, so you require putting in the time and research to ensure it’s represented precisely and optimistically, and that it is in line with your verbal and written messaging. Slack is one of the best examples of visual branding. They try to demonstrate their brand’s personality at every touch point. A video is one of the best ways to let people know who you really are and what services or products you are offering. Videos let people hear your story in a sensible way. It is actually a great way to generate content to engage your audience. Research of Treepodia shows embedding video to your website can increase conversion rates. You can embed an explainer, customer testimonial, product demo, or even a quick tour of your store on your website’s homepage. Include your core services, products, and features on your homepage. It provides a bit more details for your visitors and also boosts your website’s SEO. So list some of your key features on your website homepage. It will present people in of what’s offered by your products and services. For example, Presbyterian senior living website’s home page. For people who are not still convinced to buy your product or service and looking for more information, you can offer a resource center to them. There they can find any relevant information. It will keep your visitors on your webpage for a longer time and help you in building your credibility as they will feel like you are a leader in your industry. Make sure to include resource menu at the bottom of your website’s homepage with links to important resource pages, site pages, and social media channels. Trust elements are content and image material on a website which can strengthen the level of user trust in you. The main objective of these trust elements is to increase sales and ensure customer loyalty. Common trust elements are customer opinions, integration into social media using widgets, positive test results, quality technical seal, testimonials, and facts and figures. So include a few of these confidence-creating elements on your website’s homepage to build credibility. Has your company received any recognition or certificate lately? Then don’t let these awards just collect dust in your office and put them on display. Let your visitors know of your achievements. These success indicators build credibility, speaks about the quality of your work, and give you support to establish you as an expert in your industry. These success indicators prove that you are not just promoting or boasting your own horn; your work quality proves that. Valuable content plays an important role in audience engagement. Offer people the ability to download quality content if they exchange their email address with you. It is a vital element for conversion on your website. If they download this content, this means they have an interest in what you do. Grab this opportunity and provide them more valuable content moving forward in an attempt to nurture them through to the sale. Feature your changing content from your website on your homepage. To that, you can place your blog or social feed on the homepage which shows recent activity. It is one of the best ways to show people that your company is active and to keep content fresh on the homepage. Hire the best content marketing strategists in order to convey your business’s goals and vision in a simple yet powerful way. In a nutshell, you should include elements that attract traffic, invite a conversion, and educate visitors. Your homepage should not look like a typical landing page but design it to serve different audiences from different origins. Your website homepage should play an active role in your marketing strategy and bring more sales opportunities for you by repeating your branding message to prospective consumers. If your website homepage is lacking somewhere then improve the performance of your homepage by including above-discussed must-have homepage elements. Keep a fine balance while designing your homepage and use the right fonts, spacing, photos, responsive design, stylish buttons, and other important web design elements. If you include above-listed elements on your homepage then you are already on your way to give your brand the winning edge against your competitors. If you are interested in accelerating your efficient homepage design strategy with the help of the above elements in an impactful way, feel free to hire our industry-best web design services and boost your business bottom-lines to the epitome. Which of these elements will you focus on your next rounds of website re-design? Do write to us and let us know your views in the comments below. 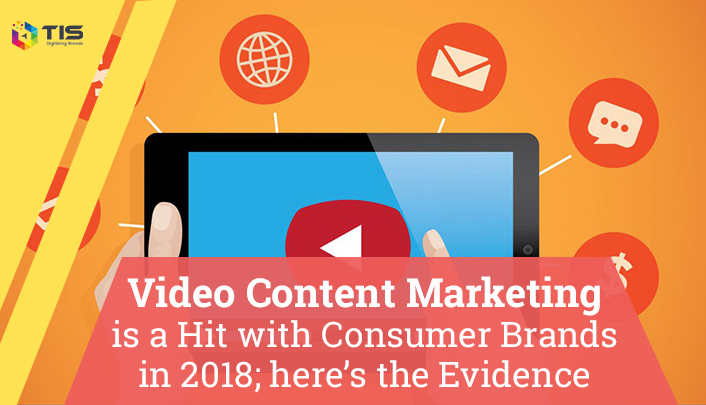 Why Video Content Marketing is a Hit with Consumer Brands in 2018? The consumer brands vertical is betting big on video content marketing in the year 2018. Three of the biggest consumer brands in the world are leading the direction and news is that their video content marketing investments are gaining traction in the market. Let’s figure this out. The Leonardo da Vinci of the smart phone industry, Apple has committed an investment of $1 billion for original video content marketing on its streaming platform. Second, PepsiCo has in November last year, opened a brand new video content creation studio in downtown Manhattan. Third, Netflix, the video content streaming giant is reshaping the way video content is created, marketed and consumed in the ICE (information, communication and entertainment) space. Whether you are looking for a show on professional soccer, politics or the latest in fashion trends from New York’s greatest design labels, one platform has it all- Netflix. Is there any data to back the claims that consumer brands are tilting heavily towards video content format in 2018? Is video content marketing a new buzz word or is it the next big thing in the content marketing and advertising functions of business? What are the drivers of live video content marketing? How do consumer brands stand to gain from spending hefty amounts on video marketing? TIS, the leading digital consulting company answers these questions and more here. 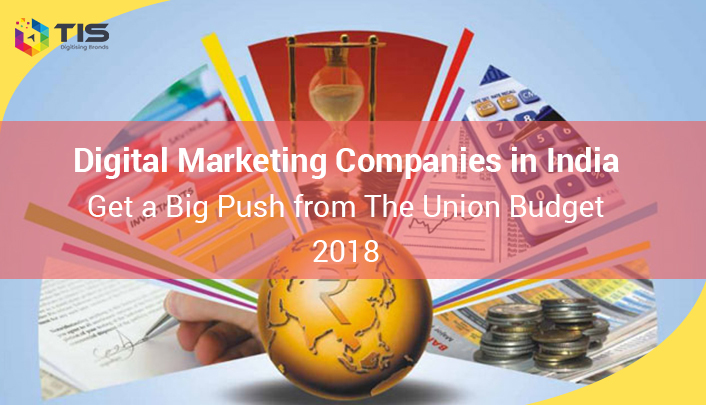 Digital marketing companies in India had waited for the Union Budget 2018 with baited breath. Given the trajectory of events, policy initiatives and economic reforms pursued by the Government of India in the last four years, the digital technology and consulting vertical in India was counting on this year’s budget to function as the compass to assess the short and intermediate term measures being taken by the government to stimulate aggregate effective demand for digital transformation of corporate enterprises, brands and governance. At TIS, the leading digital marketing company in India we are cautiously optimistic about the slew of economic reforms announced by the Government of India in this year’s union budget while hoping that it points towards market development of a strong digital economy in India and consequently the growth of world class digital consulting companies in India based on a value based model. We share our analysis of the union budget 2018 from the stand point of the digital strategy consulting industry vertical. 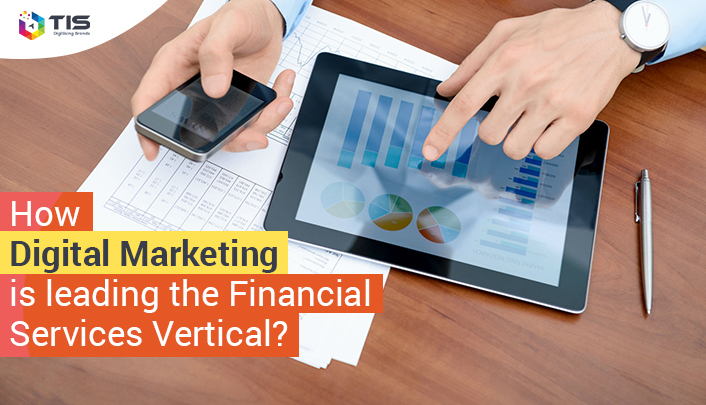 How Digital Marketing is Leading the Disruptive Innovation Movement in Financial Services Vertical? The financial services vertical is witnessing tectonic shifts because of disruptive innovations. Digital marketing is leading the charge of disruptions in the BFSI (baking, financial services and insurance vertical) like never before. TIS, the industry leading digital services consulting company brings to you the top insights on key drivers and business areas that characterize disruptions being led by digital marketing. According to an estimate made by Statista, the revenue generated by online travel booking amounted to $340 billion back in 2010. As a travel agency, you could do your bit to earn a part of such whooping amount by making those holiday-goers to choose and book their holiday through your company. Seems like the best dream you have ever had? Believe us, it is not a dream anymore! Travel SEO could help you fulfill your goals and milestones within a blink of an eye. 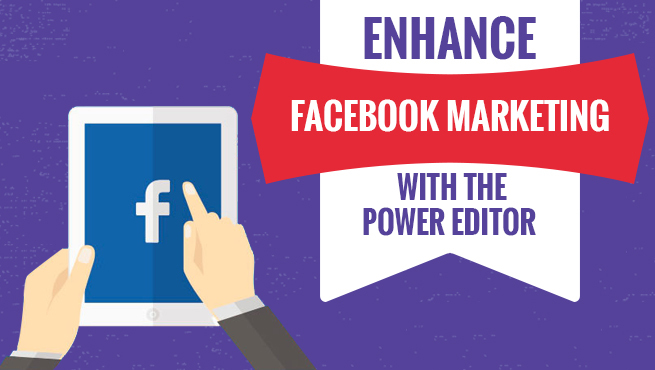 Facebook marketing is one of today’s most effective online tools at any business’ disposal. No matter how big or small your company is, or what size of budget you have to work with, Facebook can offer ways to reach your target demographic and increase sales. Since 85% of all social media originating sales come from Facebook, and the average value of a Facebook generated sale is $55, directing some adspend to the platform makes a lot of sense. Small business owners will find Facebook a powerful tool they can leverage for increased revenues and brand visibility. The site has over a billion active users and is one of the most heavily trafficked social media sites in the world. Many plugins and applications that have been created to supplement the core functions of the site; of these, the Power Editor is the most useful. Social media has radically altered the way consumers are able to interact with content. Hence, after social media, consumers want a comparably similar, intuitive, and interactive experience on the websites they visit. This has led to a transformation in how “a good web design” is defined and hence how websites are now being designed. 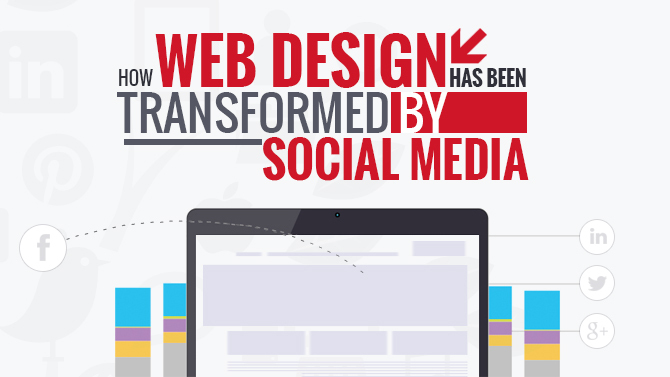 Here are the “top 7” transformations in web design brought about by social media.